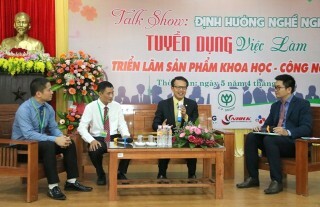 On April 7, at the Center for Start-up and Innovation of Hue University, the exchange program "Journey from the heart - Great career journey – Start-ups for building the nation for 30 million Vietnamese young people" and the talk show "Tips for success for individuals" took place. Here, speaker Dr. Tran Huu Duc, Training Director of Trung Nguyen Legend Group shared the story of successful and famous people in the world such as Bill Gates, Albert Einstein and Chung Ju-Yung. According to Dr. Tran Huu Duc, a system for success consists of 5 components: Great aspiration - determining core competencies - planning implementation - connecting and convincing resources - daring to challenge failure. 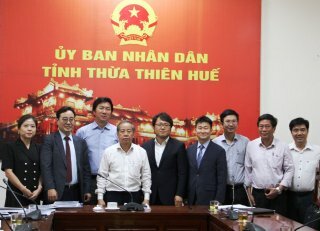 According to the representative of Trung Nguyen Legend Group, the "Journey from the heart - Great career journey – Start-ups for building the nation for 30 million Vietnamese young people" to the highlands officially commenced from April 2 at the Coffee World Museum (Dak Lak) with the participation of many pagent winners and runner-ups. 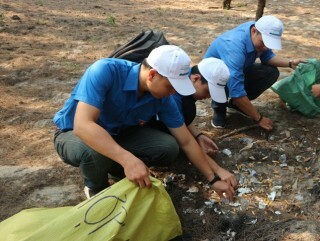 After the opening ceremony, this journey will come to many Central Highlands provinces, the Central region and all the provinces in the border highland region of the country before reaching the zero milestone in the sea (Hai Phong) to continue the journey onto the islands. The most outstanding feature of this year is the journey to the Spratly Islands.